The Blue Blur turns 19 today, and to celebrate Sega is offering deals on PSN, XBLA, and the iPhone App Store. It may be hard to remember these days after stinkers like 2006's Sonic the Hedgehog, but there was once a time when gamers and industry figures alike actually looked forward to a new Sonic game. Those days may be behind us (or maybe not?) but that doesn't mean we can't look back on them fondly. 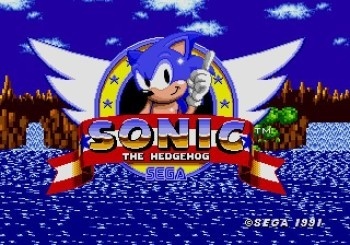 Sega is remembering them fondly, too - and to celebrate the June 23rd, 1991 launch of the first Sonic the Hedgehog game here in the states, it's offering sales on classic Sonic titles and DLC for newer games in the franchise. PS3 and PSP owners seem to get the short end of the deal, as the deals are mostly on DLC for games like Sonic & SEGA All-Stars Racing and Sonic Unleashed, but you can get both PSP Sonic Rivals titles for $18, which is nice. iPhone owners get some nice goodies, with prices cut on classic Sega games like Super Monkey Ball 1 & 2, Sonic the Hedgehog 1 & 2, Golden Axe, and Streets of Rage. And 360 owners can get their hands on any of the first four Sonic games (that's 1, 2, 3, and & Knuckles) on sale, too. The sales are, unsurprisingly, limited offerings. The PSN sale runs Tuesday, June 22nd to Tuesday, July 6th. The iPhone sale lasts from today until Wednesday, June 30th, and the XBLA sale is only tomorrow: Thursday, June 24th. So if you want these games, you've got a very limited window. Happy birthday, Sonic. May your 29th birthday be a bit luckier than your 19th one. And you and JC Denton can share a birthday cake.